Vocalist and front man for The Purple Xperience, Marshall Charloff, was a teenager when he first met Prince. Little did he know that 30 years later he would perform as Prince in The Purple Xperience, a tribute act fostered by Matt “Doctor” Fink, Prince’s Revolution band scrubs-wearing keyboardist. “I was in a band with Prince’s cousin but I didn’t believe Prince was really his cousin. So his cousin decided to prove it. He took me a private personal recording space where Prince was recording. I met Prince and also Matt “Doctor” Fink there and later performed with him but I never was a member of the Revolution. 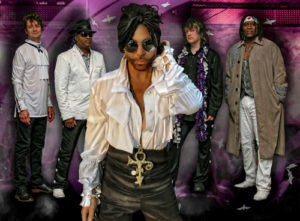 “I am the front man of The Purple Xperience, a band that came together in 2010. I saw Prince several times and did recordings at the Paisley Park studio. In fact I was on the recordings with Prince for the 94 East Series. I performed with Matt Fink on several occasions and later Matt and I talked about whether we wanted to perform the Prince Catalog. In 2011, we put together the rest of The Purple Xperience band consisting of Cory Eischen on keys, Tracey Blake on guitar, Ron Long on bass and who worked with Prince’s father, John Nelson, and Ron Caron on drums. At first we did infrequent shows with the emphasis being that when performing Prince’s music it would be with a high level of musical execution. 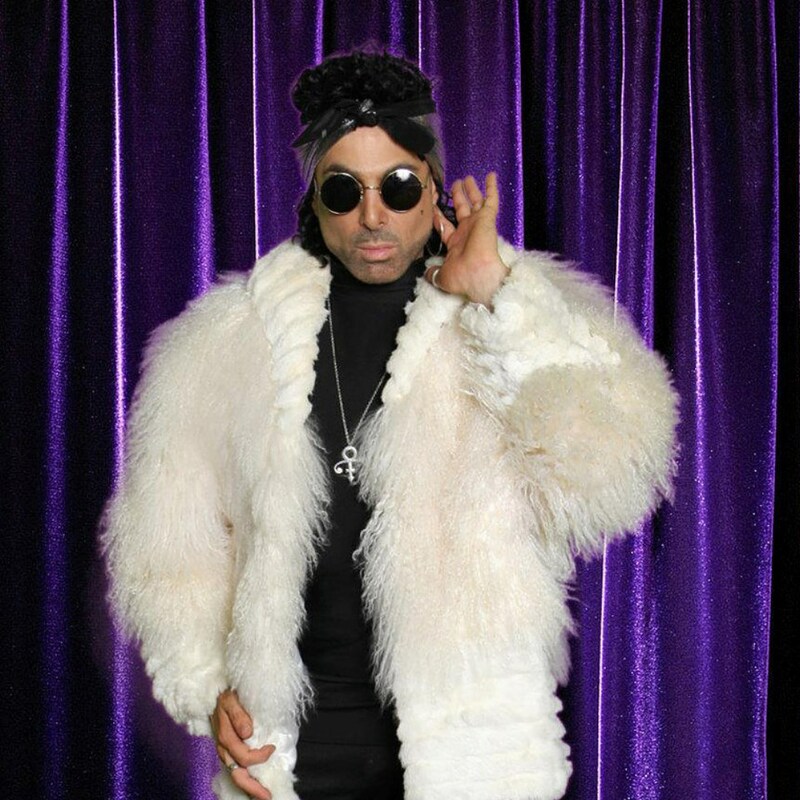 We determined that it would be done with a great deal of respect, thus our presentation would not be corny or cheesy and also, that we would perform Prince’s music with the blessing of Prince,” said Charloff of how the Purple Xperience came together. Charloff resembles Prince in stature and looks and also vocals. Like Prince, Charloff plays all the instruments in his band. “In Prince’s case, he was music! If you understand the language of music it does not matter what instrument you pick up because if you have something to say, you just communicate and interpret the music through that instrument. I am unaffected so try not to put on an affect since my vocals are very similar to Prince. 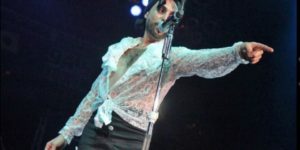 It is such a blessing because I can sing as myself which happens to sound like Prince and thus come off respectful while emulating Prince,” remarked the Minneapolis Purple Xperience lead. “Prince was all-encompassing. His image and music was always cutting edge and unique. At this point it’s almost iconic when you think of the color Purple you think of it in association with Prince. Prince owns the color Purple.” stated Charloff.